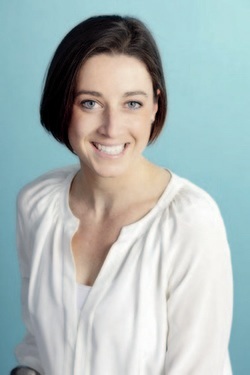 ﻿Zoe is an experienced dietitian with expertise in clinical nutrition, food industry and the media. Zoe specialises in weight loss from both a weight loss surgery and non-surgical, non-diet approach. The non-diet approach to weight loss is a new, much kinder way of thinking about weight and health which addresses the problems of the diet industry and the yo-yoing diet cycle this can leave you stuck in. You will not find another diet, meal plan or strict rules, but a supportive guiding hand to help you through your weight loss journey. Zoe has always had a passion for all things food, nutrition, health and fitness and enjoys helping others develop these passions, too. Zoe believes that healthy living shouldn't be difficult, so she translates the latest nutrition science into practical, easy-to-do recommendations that suit you. Zoe has also worked as a chef for a catering company and still loves to experiment in the kitchen - dessert and baking is her passion! She balances out her love for food with a love for exercise. Zoe regularly competes in range of endurance sports and teaches outdoor group fitness classes. If you need a nutrition expert, then Zoe is the person you need to help you make good food and nutrition as delicious and simple as possible! If you have a nutrition question, Zoe is the answer. Zoe is available for consultations on a wide range of nutrition and health related areas, specialising in weight loss. She consults weekly at the rooms of Shore Surgical in St Leonards. Zoe regularly provides evidence-based opinion to media in the form of magazines, radio, television and blogging. She is available for comment on a wide range of topics. Click here to see examples of Zoe's work with the media to date. Zoe experience working with food industry in the form of recipe analysis, menu review and development and food product market analysis. Get in touch with her to see how she can help.